29 States Of India And Their Capitals And Languages : Hello Friends, Is post me hum bharat ke rajya unki rajdhani or sabhi 29 states ki language ( Bhasha ) ke bare me is post me batane wale hai ( 29 states of india and its capitals language ) or is post ke last me aapko 29 States Of India And Their Capitals And Languages PDF provide ki gyi hai jisko aap apne phone me download kar ke bhi pad sakte hai. Hamko sabhi States ( Rajya ) ki Capitals ( Rajdhani ) ka pata hona bhut jaroori hai kyoki har exam me yeh pucha jata hai or iske alawa yeh hamara desh hai hame apne desh ke bare me knowledge hona bhut jaroori hai isliye is post me hum aapko 29 States Of India And Their Capitals And Number of Languages in india ke bare me btane wale hai. 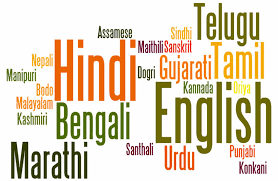 How many official languages in india : India ki 22 major languages hai jiske bare me hum niche post me padege jisme Hindi india ki official language hai jisko approximately 420 million log bolte hai or iske alawa India English bolne wala world me second country hai. Ab aapko niche List of States and Capitals of India and List of Languages in India State Wise provide ki gyi hai ise pura read kare. India me boli jane wali sabhi bhashao ki state wise list is pdf me provide ki gyi hai “29 states of india and their languages in hindi” bhi is pdf me di gyi hai ise download karne ke liye diye link par click kare. To dosto kesi lagi aapko yeh post 29 States Of India And Their Capitals And Languages hame comments kar ke jaroor btaye or is post india state languages pdf ko apne dosto ke sath share karna na bhule.